Everyone knows who Superman is. Today we celebrate the 75 Year mark of his first published appearance in the first issue of the comic book ACTION COMICS #1 which hit the newsstands in 1938. Rather than just do a reflection back over all the things people already generally know about Superman, I thought I'd pick 5 things I think are interesting about his history that most people are unaware of. So, without further ado or boring exposition....DID YOU KNOW? 1. SUPERMAN DID NOT FLY IN THE COMIC BOOKS UNTIL 4 YEARS AFTER HIS FIRST APPEARANCE. This is true. For 4 years, he could leap 1/8th of a mile. It was described in the comic books as being like a giant grasshopper. It may be a bit more science-fictioney realistic too. The explanation was that the gravity on Krypton was so much heavier that Earth's was comparatively very light and gave him the ability to leap tall buildings in a single bound. This was a bit that his youthful creators, Jerry Siegel & Joe Shuster just cribbed from Edgar Rice Burroughs' JOHN CARTER books. Truth is that Superman's original incarnation was cobbled together from a bunch of different pulp influences like that. 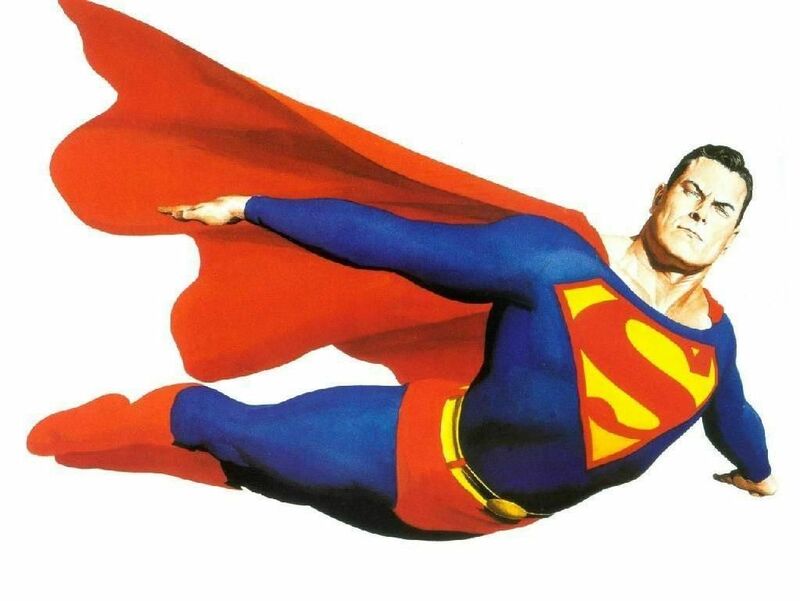 Sidebar 1: Superman also had no x-ray vision, heat vision, or any other super-senses until around the same time he started actually flying in the comics. Sidebar 2: Superman was shown flying in the Max Fleischer cartoons in 1940 even though he didn't actually do it in the comics until 2 years later. 2. 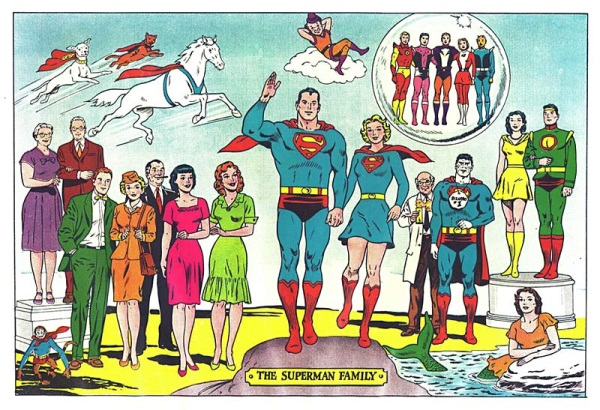 SUPERMAN HAS AN ENTIRE FAMILY OF "SUPER" CHARACTERS. Don't believe me? There's Superman, Bizarro-Superman, Supergirl, Superboy, Superbaby, Superdog, Supercat, Superhorse, Supersquirrel and even a Supermonkey. And there's probably more that I'm forgetting. Plus, we might not even have the word "Super-Hero" without Superman. Who knows? 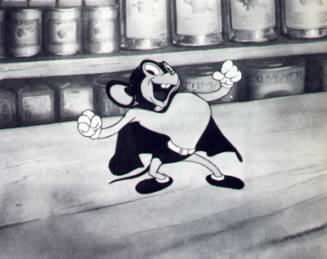 Sidebar: There were 7 cartoons back in the 1940s featuring a parody of Superman called "Super Mouse". They were so successful they revamped the character into something more than just a parody and called him "Mighty Mouse". 3. 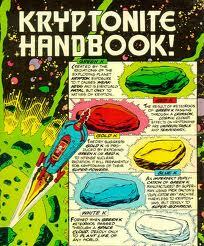 KRYPTONITE DIDN'T SHOW UP UNTIL 11 YEARS AFTER SUPERMAN DEBUTED. That's right. In the comics, there was no "Kryptonite" for 11 years. So, before you start complaining about word leaking out that the upcoming Superman movie MAN OF STEEL isn't going to have Kryptonite in it, just remember that the character cruised along just fine for 11 years before that plot-device deus ex machina was introduced into the mix. Sidebar: While it is true that Kryptonite did not appear in comics until 1949, the actual first appearance of the concept of it was on the successful long-running Superman radio show. When Superman voice actor, Bud Collyer, got ill and could not perform, they invented Kryptonite for the series so that in the episodes Collyer was absent from they could just have Superman groaning and moaning for the broadcast. 4. 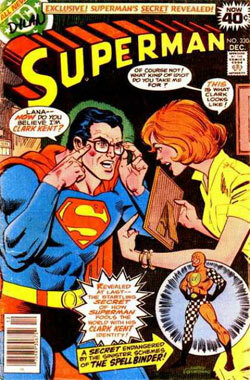 NOBODY KNOWS CLARK KENT IS SUPERMAN BECAUSE HE HAS BEEN SUBCONCIOUSLY SUPER-HYPNOTIZING EVERYONE. Back in 1978, one of the worst Superman comics ever published attempted to explain something nobody needs or wants explained. It is a classic technique of dramatic license to let the audience in on a deception that those in the play or movie or whatever should be able to see through (a mask, a pair of glasses, a disguised voice, etc.). The audience accepts it simply because they have to accept it to enjoy the show. 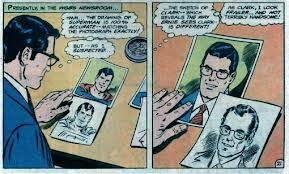 The Superman/Clark Kent deception is one of those. In SUPERMAN #330, during a 10 year or so phase where Clark Kent was a national news anchorman like Brian Williams or something, somehow, a story got through all the editors' collective good senses that should've been quashed at the concept stage. Instead it was actually published and explained that Superman has been subconsciously super-hypnotizing everyone to see Clark as ugly with bags under his eyes and with a receding hairline (basically David Letterman without a gap in his front teeth). We won't even get into all the problems with that on so many levels. Sidebar: DC Comics obviously realized the error and promptly relegated the comic to the forgotten bins of stories they'd like to pretend never existed. Sort of like the issue in the midst of the Civil Rights era where Lois Lane turned herself into an African-American to experience the plight of inner city Black people. But that's a different blog post. 5. 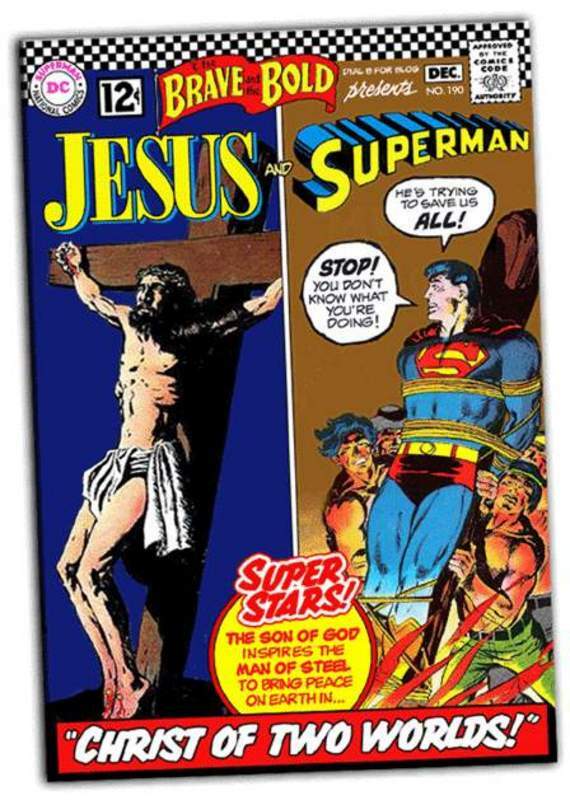 SUPERMAN'S NAME HAS A RELIGIOUS MEANING. You may or may not know that Superman's Kryptonian name is "Kal-El." You may or may not also know that the boys who created the character, Jerry Siegel and Joe Shuster, were Jewish. Some of you will know that in Hebrew the "El" is a short-form for "Elohim" which is one of the collective names for God. The closest Hebraic approximation for "Kal-El" actually translates to "Vessel or Voice of God." Considering how the character quickly evolved into a Messianic archetype, a more appropriate name could not have been chosen. And the amazing thing is that it was assuredly chosen without consciously understanding what it meant. As Jung would say....synchronicity. You just have to look for it to see it.